"MasterCard is taking action to ensure that WikiLeaks can no longer accept MasterCard-branded products," a spokesman for MasterCard Worldwide said today. That further limits the revenue sources for WikiLeaks, which has seen its finances systematically attacked in the last few days, as the Swiss authorities shut down a bank account used by editor Julian Assange, and PayPal permanently restricted the account used by the group. WikiLeaks has responded with an increasing number of fund-raising requests that urge supporters to "KEEP US STRONG." MasterCard said it was cutting off payments because WikiLeaks is engaging in illegal activity. "MasterCard rules prohibit customers from directly or indirectly engaging in or facilitating any action that is illegal," spokesman Chris Monteiro said. "Illegal activity." Says who? In the countries of Europe and North America, courts of law, not politicians or credit card companies decide if laws have been broken. Neither Julian Assange nor WikiLeaks has been convicted of a crime in any court of law. Legal experts say the legal case against WikiLeaks is weak. Moreover, this action by MasterCard comes as WikiLeaks is attempting to raise money for the legal defense of Julian Assange. How is Assange supposed to defend himself against the US government -- and sooner or later Wall Street banks -- if he is deprived of the means to raise money for his legal defense? MasterCard's behavior is not only an assault on justice, but free speech rights. When citizens are not free to support a cause with their credit cards or checkbooks, voices are silenced. Affirming this principle, the Supreme Court of the United States recently ruled that donations are a form of protected free speech. 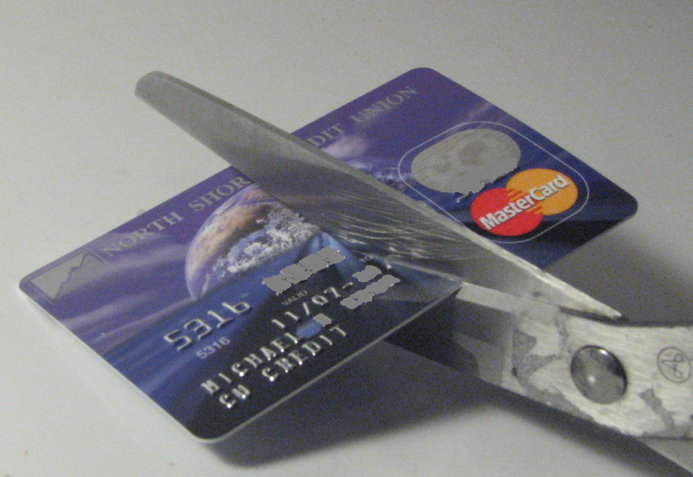 MasterCard must pay a hefty price for its assault on our liberties. UPDATE: Part II is now posted. What happened to innocent until proven guilty? When did Mastercard become Judge, Jury, and Executioner? I just had a look through my wallet and chopped up my Mastercard. The bastards aren't getting any more of my money. MasterCard, PayPal (Ebay), Amazon, now Visa... So much for online shopping this Christmas.